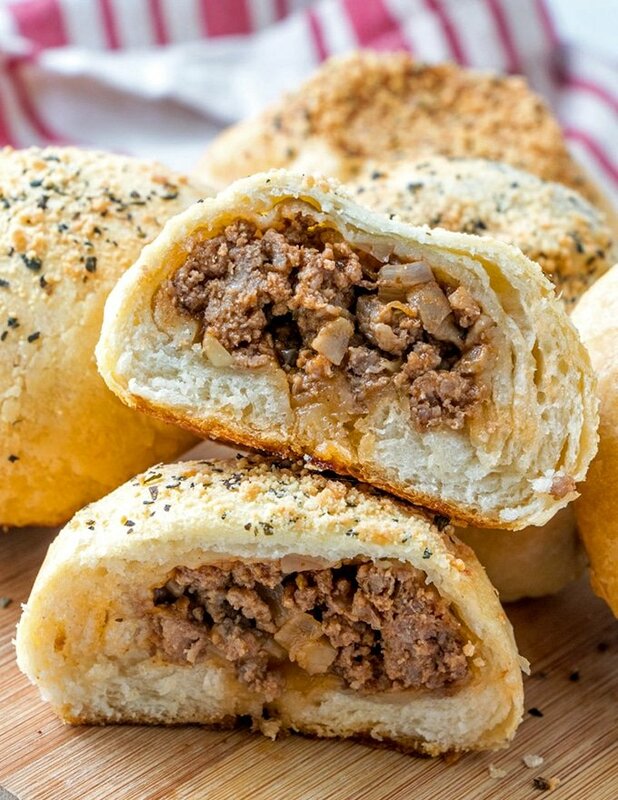 Sloppy Joe Bread Rolls made of seasoned beef mixture and refrigerated biscuits are easy to make and ready in minutes. 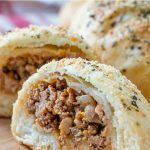 With soft, fluffy buns around a savory sloppy joe filling, they’re a tasty weeknight dinner or portable snack. Every time I make sloppy joes, I like to use at least a few pounds of ground beef and portion the cooked mixture into resealable bags to freeze for future meals. 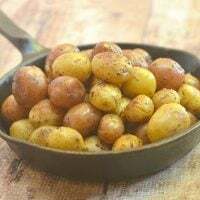 The seasoned meat not only keeps well in the freezer but it’s also versatile and can be used in a number of scrumptious ways. 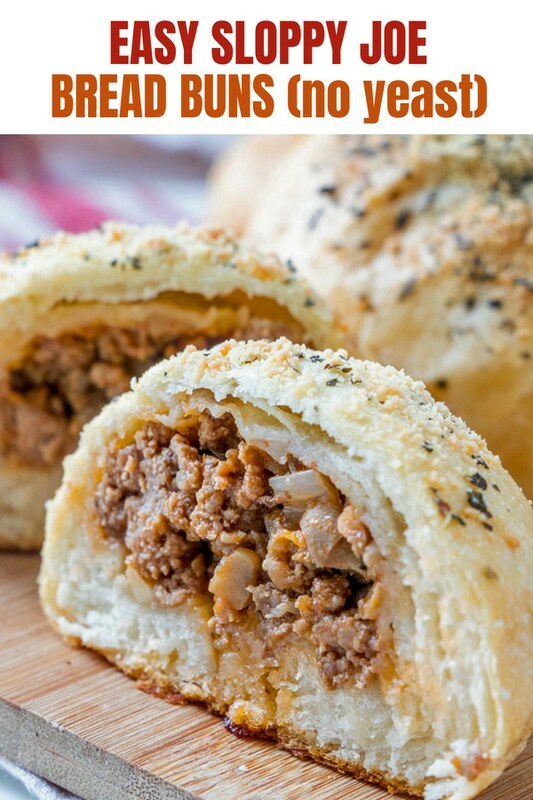 We love sloppy joes served traditionally in hamburger buns as well as in sliders, pasta casseroles, and our ultimate favorite, in bread rolls. 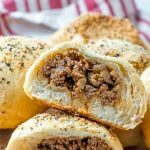 These sloppy joe rolls are quick and easy to make with refrigerated biscuits which bake into soft, fluffy buns around the savory beef filling. There is no yeast and proofing required. 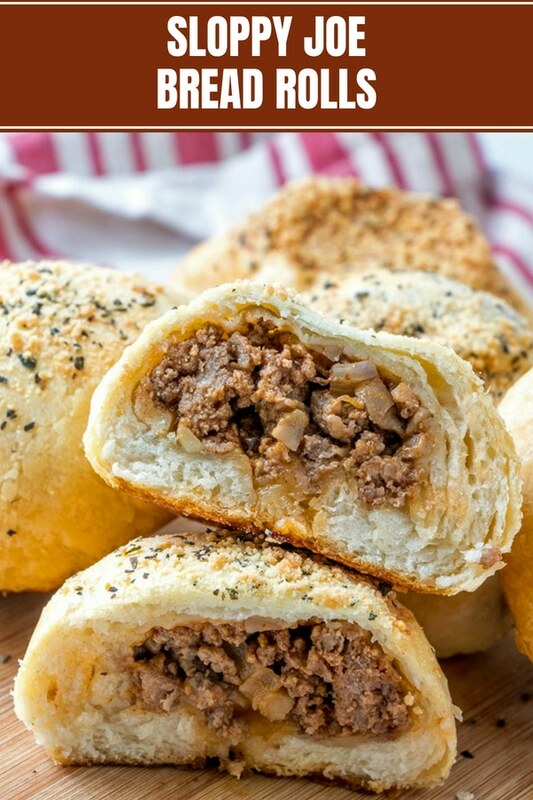 Just pop a tube of biscuits, flatten them out, stuff with the meat, shape into balls to seal the filling, and bake! The main flavor component of sloppy joes is the sweet and tangy tomato gravy. You can use storebought sloppy joe sauce if you like but I highly suggest making it from scratch. 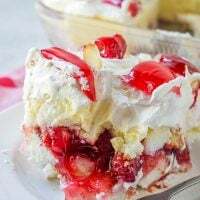 Homemade requires only a handful of ingredients and takes but a few more minutes than opening a can yet it tastes infinitely better. Just stir in tomato sauce, ketchup, Worcestershire sauce, yellow mustard, vinegar, brown sugar to the pan of browned ground beef and allow to simmer until it’s nice and thick. 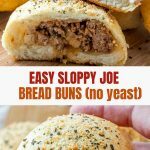 Sloppy Joe is our stuffing of choice for these bread buns at home but you can also try Cuban picadillo or tamale pie filling if you want to switch things up. I like to add mushrooms to the beef mixture but feel free to add bell peppers as well for an extra layer of color and flavor. Make sure to reduce the liquid to almost dry. You want the meat saucy but not overly wet. Allow to slightly cool, so the steam from the heat doesn’t tear through the biscuit dough. Do not overfill the biscuits so they’ll seal properly and won’t burst. Want to make them cheesy? 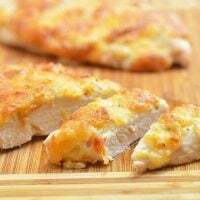 Top the filling with shredded Cheddar Jack or Mozzarella before enclosing in the biscuits. 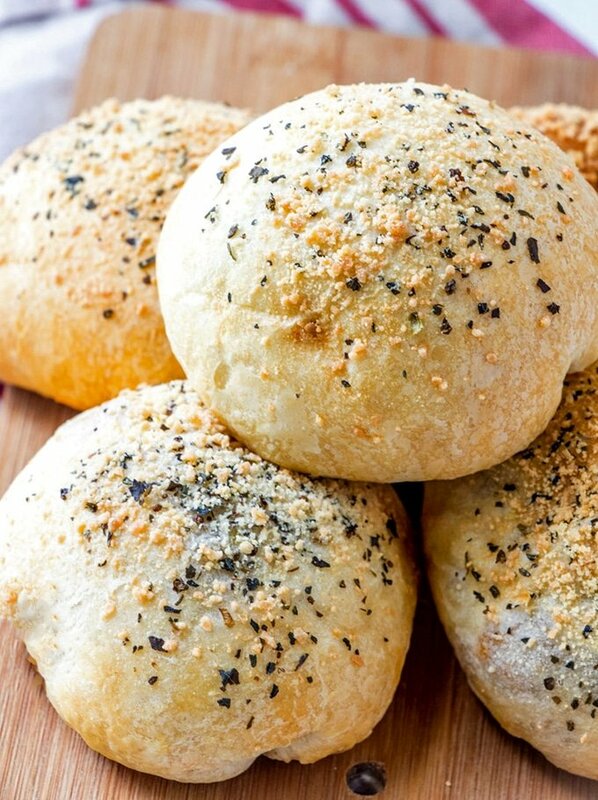 I usually brush the tops with butter and sprinkle with Parmesan cheese and dried herbs before baking. 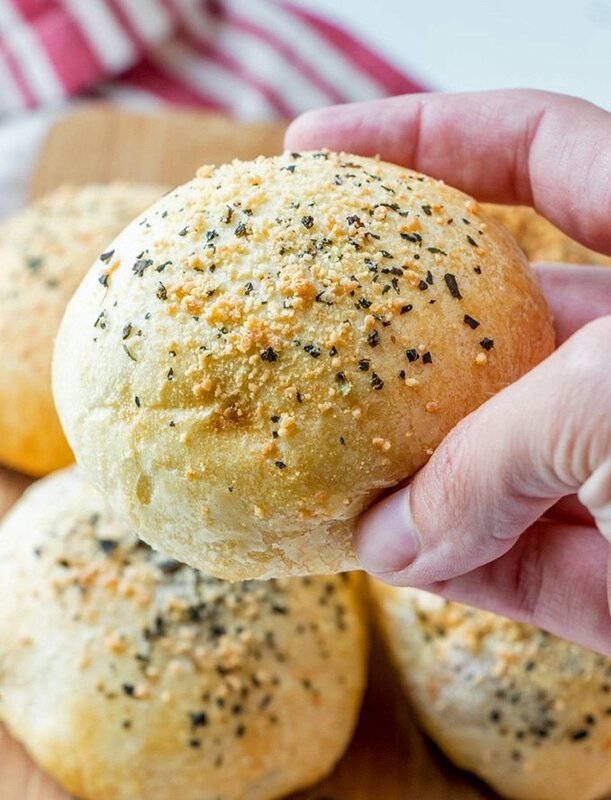 Sesame or poppy seeds are also good options. 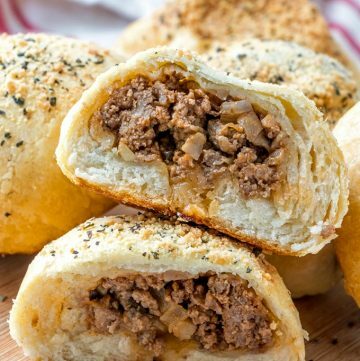 Give these meat-filled bread rolls a try today. 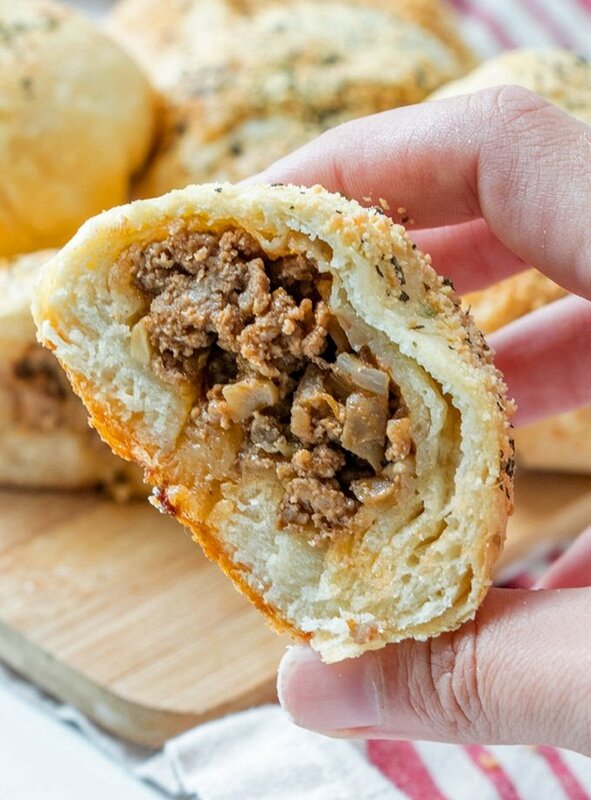 Quick, easy and delicious, they’re perfect for an easy weeknight dinner, portable snack or brown bag lunch. Fun to eat as they are tasty, they’re a guaranteed hit with kids and adults alike! 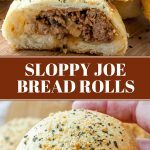 Sloppy Joe Bread Rolls made of seasoned beef mixture and refrigerated biscuits are easy to make and ready in minutes. 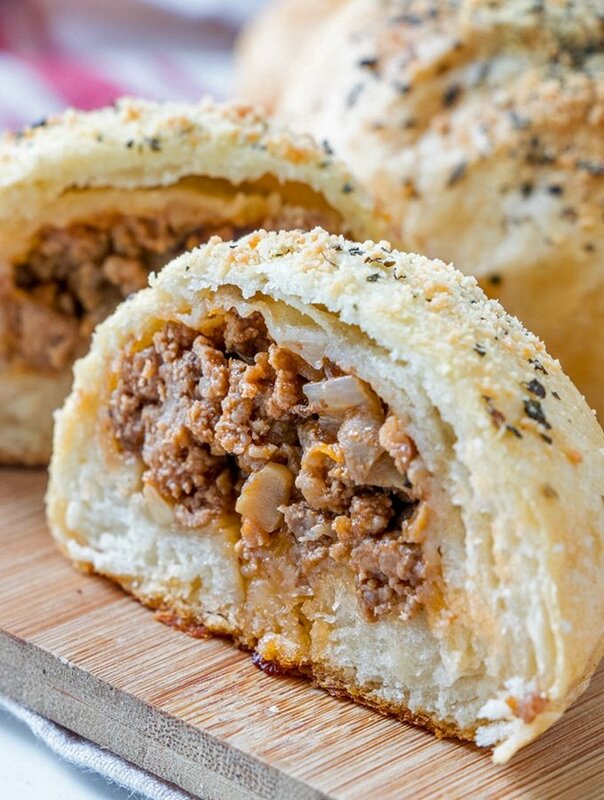 With soft, fluffy buns around a savory sloppy joe filling, they're a tasty weeknight dinner or portable snack. Add ground beef and cook, breaking into pieces, until lightly browned. Add tomato sauce, ketchup, Worcestershire sauce, and sugar. Season with salt and pepper to taste. Stir to combine and bring to a boil. Lower heat, cover and continue to cook until meat is cooked through and liquid is reduced to almost dry. Separate dough into individual biscuits and flatten into 4-inch circles. Spoon about 1 1/2 to 2 tablespoons of beef mixture on center of each dough. Gather dough to cover and seal filling. Using palms of hands, shape into balls. Arrange filled biscuits seam side down on a lightly greased baking sheet. 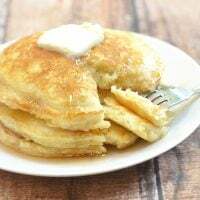 Brush tops with melted butter and sprinkle with Parmesan cheese and dried basil. Bake in a 370 F oven for about 10 to 15 minutes or until golden brown. I made these rolls today and it was a hit! !